The American Miners Pension Act, or AMP, would secure pensions for about 43,000 miners in Kentucky, Ohio and West Virginia whose retirement benefits have been undermined by the decline of the coal industry. West Virginia Democratic Senator Joe Manchin said Congress acted to protect miners’ health benefits last year but pensions got kicked down the road. “And every day that it goes without settling our pension problems it's another day this will cost more,” Manchin said. 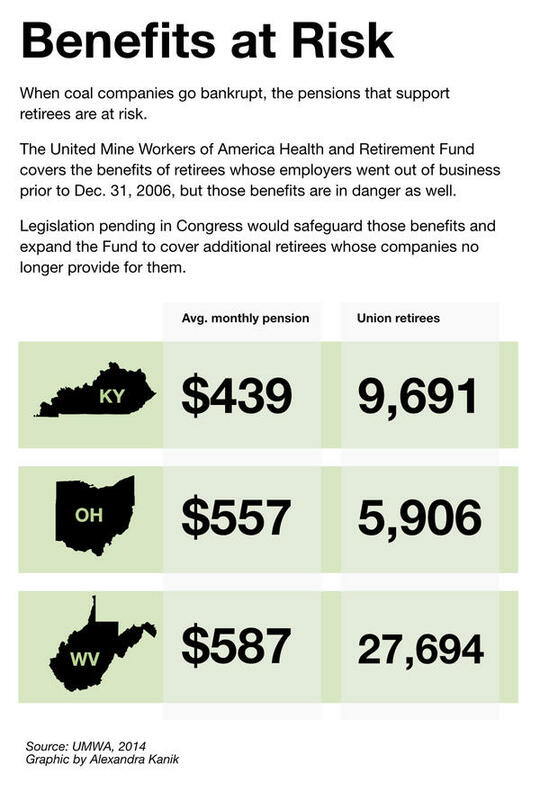 Without Congressional action, the United Mine Workers pension plan could become insolvent in about five years. The UMW blames the pension fund’s decline on a downturn in coal markets and coal company bankruptcies. The AMP Act would transfer excess funds from the federal Abandoned Mine Land program to the UMW pension plan. Manchin said bankruptcy laws are also at the root of the problem. “This will repeat itself time and time again. We’re not going to change it unless we change our bankruptcy laws,” Manchin said. Manchin said the bill seeks a loan, not a bailout. The AMP Act would require the pension fund to certify each year that it is solvent and able to pay back the principal and interest. UMW representatives warn that if their pension plan collapses the beneficiaries and their dependents will be moved into the Pension Benefit Guarantee Corporation, which could also put that important source of pension protection at risk. Robert Bailey was a coal miner for 36 years and retired from Patriot Coal, a company Peabody Coal created. Patriot carried many pension and health benefit costs from Peabody and has twice declared bankruptcy. Bailey said he worries he will lose his main source of income if the UMW’s pension plan becomes insolvent. “It would definitely be devastating to the majority of coal miners that depend on this,” Bailey said. Bailey said he has developed black lung and is unable to work. His wife left work to stay home and care for him as well. He said the federal government promised long ago to guarantee lifelong benefits for miners -- a pledge he said the AMP Act would keep. “If they have any morals, to me, they would have to pass it,” Bailey said. 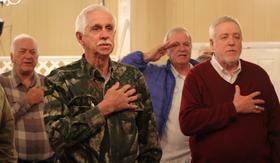 Coal retirees have been fighting to secure their benefits for nearly five years. The average monthly pension payment in the Ohio Valley is about $500 to $600. WVPB’s Glynis Board, Roxy Todd, and Jessica Lilly contributed to this report. Copyright 2017 WKU Public Radio. To see more, visit WKU Public Radio.